Thank you for using www.novapharmacy.com.au. Please read these terms and conditions carefully even if you have used the website before as they apply to you every time you use the website and may change from time to time. “Nova Pharmacy” and all related trademarks and logos represented on this website are the property of the Nova Pharmacy Group. Customer must provide proof of the identical product with price and current date to our customer service personnel. 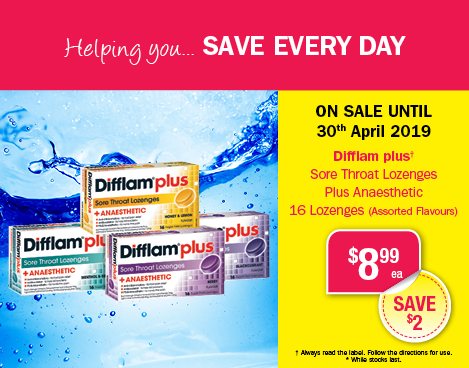 Price matching will only apply to products advertised at other Australian Pharmacies only. Price matching excludes online specials. Price matching only applies to personal use only. 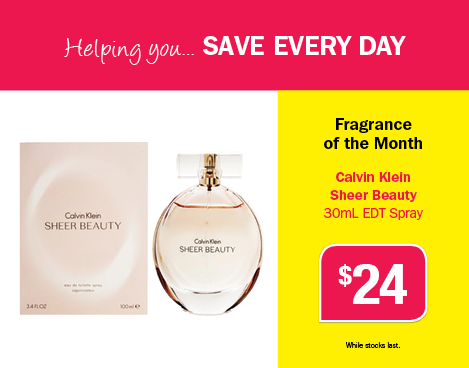 Limit on price matched items may apply. If you are under 18 you must only use the website under adult supervision. If an item purchased is defective, damaged or faulty, or does not match the purpose described or is not as described in product description, please return the item to the Nova Pharmacy you purchased the item at. 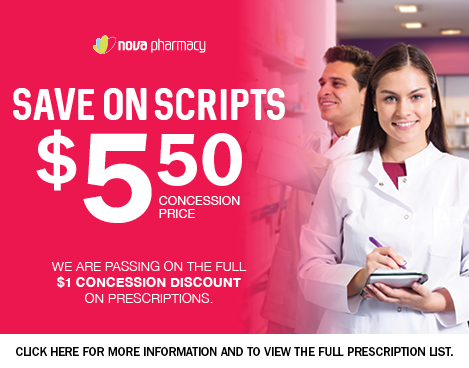 In such an event, Nova Pharmacy will provide the buyer a replacement product or full refund. Refund is offered via original payment method. Please note: Proof of purchase is required in the event of a refund or exchange in the form of original receipt or bank statement. We reserve the right to assess the age and condition of returned goods prior to offering a replacement product or refund. We are unable to offer any returns for change of mind – please choose carefully. Unfortunately, we can’t accept any medicines returned for a credit due to the fact that the storage conditions of the product have possibly been compromised, once it has left the pharmacy. At Nova Pharmacy we strive to deliver you the best of all our products. If the unforeseeable circumstance arises please return the item to the Nova Pharmacy you purchased the item at and a refund is offered via original payment method. Proof of purchase must be shown in the form of original receipt or bank statement. 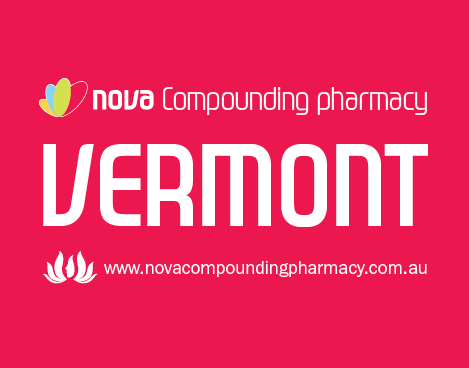 Nova Pharmacy is one of Australia’s leading independent pharmacy retail groups. Information about us can be obtained by contacting our Privacy Officer by mail at Nova Pharmacy, 2/6 Wedgewood Road, Hallam, Victoria 3803 or by facsimile on (03) 9703 9452 or by e-mail admin@novapharmacy.com.au. Nova Pharmacy acknowledges and is committed to protecting your privacy. We will collect, use, disclose and hold personal information in accordance with the Privacy Act 1998 (“the Act”). We will use and disclose your personal information for the primary purposes of our business as a retailer or a purpose related to our primary purpose such as marketing, where such disclosure is permitted by the Act. In addition we use such information to market to you products and services offered by Nova Pharmacy unless you have indicated that you do not wish to obtain such marketing offers or material. Such a request can be made to the Privacy Officer. We will in such circumstances only use the personal information provided for the sole purpose of providing our services. Nova Pharmacy may utilise the services of contractors from time to time for the purposes of marketing and undertaking services as promoted by us. Your personal information will be provided to these businesses for the purposes of ensuring that our services are marketed to you or to enable a service to be provided to you. We will not otherwise provide your personal information to a third party without your approval. If you are concerned with the way we have handled your personal information, please contact our Privacy Officer with your complaint. We will make available to you a privacy complaint form, which you will be required to complete and return to us. This will ensure the prompt investigation of your complaint. If we have not handled your personal information in an appropriate way we will take steps to remedy your concerns promptly. Should you require any further information regarding the privacy legislation, visit www.privacy.gov.au or www.oaic.gov.au. Nova Pharmacy makes no representations or warranties of any kind, express or implied, as to the operation of the website, the information, content, materials or products included on the website. To the extent permitted by law, the Nova Pharmacy Group accepts no responsibility for any loss, damage, cost or expense (whether direct or indirect) and whether incidental, punitive or consequential incurred by you as a result of your use of the website including any error, omission or misrepresentation in any information on the website. To the extent permitted by law, Nova Pharmacy will not be subject to any liability which exceeds the replacement value of the subject goods. The provisions of these terms and conditions will be separate and severable from each other so that if any provision or provisions are considered to be inoperative then the remaining provision or provisions will be binding on and enforceable by the parties. NOVA PHARMACY reserves the right to make changes to the website and these terms and conditions at any time and any changes will be binding on all users of the website immediately.